Oatmeal: the wonder breakfast which somehow got a bad reputation; one of being too bland and too mushy. Well, when choosing pre-packaged instant oatmeal, mushy is just what you will get! Making a simple and scrumptious bowl of oatmeal in the morning does not have to be complicated, and its impressive nutrient profile will leave your body thanking you all day long. This post is my passionate attempt to improve oatmeal’s current reputation and to get a bowl of oats in more bellies every morning. 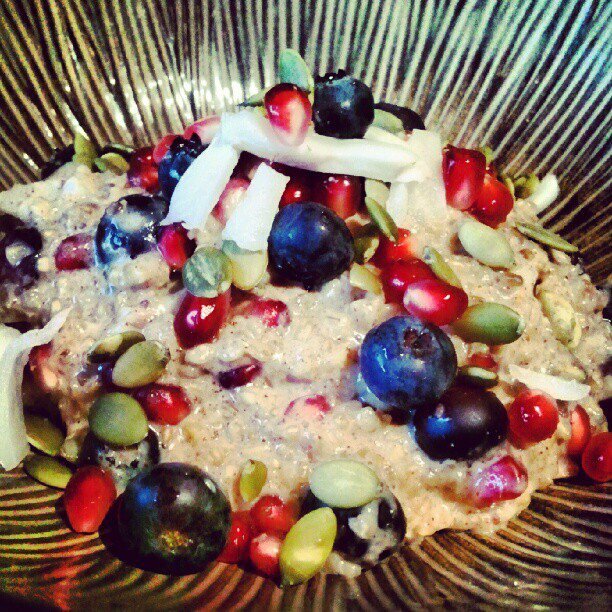 Full of fiber, healthy fats, protein, vitamins and minerals, a bowl of oats is a great way to start off the day. Its near perfect ratio of carbohydrates, fats and proteins keeps your appetite in check, giving you a steady flow of happy energy needed to get through the morning. Vanilla – either whole vanilla bean or vanilla extract to add a nice flavor. Avoid the extracts with added sugar. 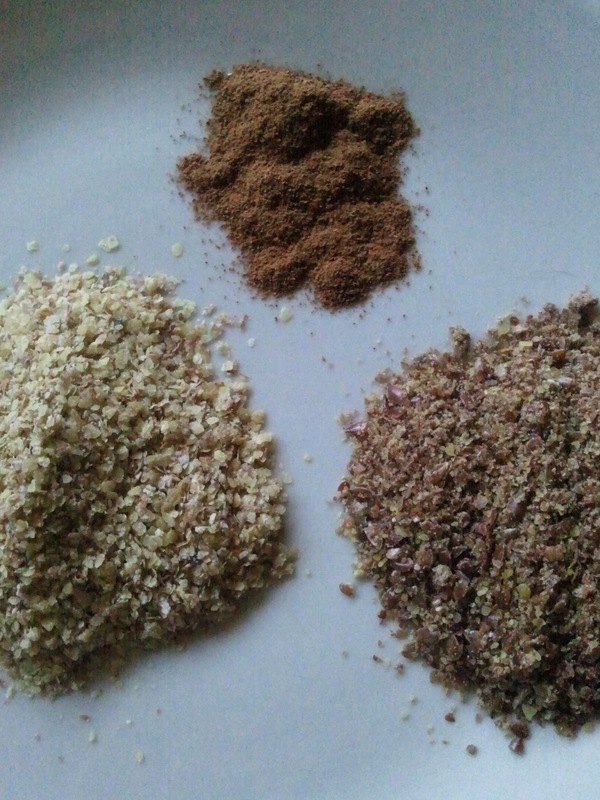 Cinnamon – A must for oatmeal! Ground flax seed – This is optional, of course, but flax adds a great source of heart healthy Omega-3 fats and fiber. But don’t forget to grind your flax! Our bodies cannot absorb nearly as many nutrients from the whole seed itself. Wheat germ – (optional) a great source of folic acid, selenium and zinc. Combine all of the “basic oats” ingredients in a pot over medium high heat. When slightly bubbly, turn heat to medium and allow liquid to be absorbed until oatmeal is creamy, about 7-12 minutes. Pour into a bowl and throw on toppings. Enjoy. *Steel cut oats take a tiny bit longer to cook, but are more hearty in texture and nuttier in flavor compared to rolled oats. They also have slightly more protein, fiber and iron.